Happy New Year, everyone! So many potential topics to cover at this time of year- resolutions, exercise, diets, organization tips! Well, I’m going to start simple…by asking a favor of anyone who reads this. How many of you have old 2010 wall calendars that are now useless? Before you recycle them (because certainly none of you just toss them in the trash…right?!) I’d like to ask you to consider sending it my way instead! I re-use old wall calendars (and other old materials like maps etc.) 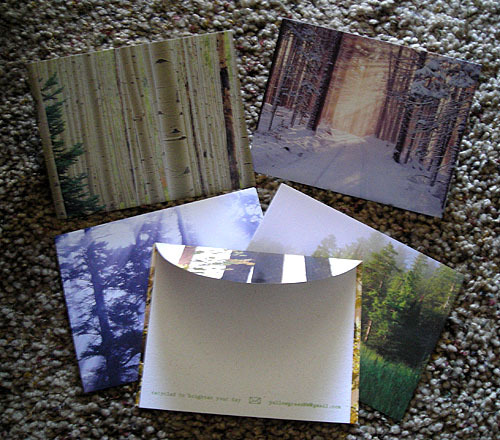 to make envelopes and I would love to re-use any calendar you are thinking of getting rid of! 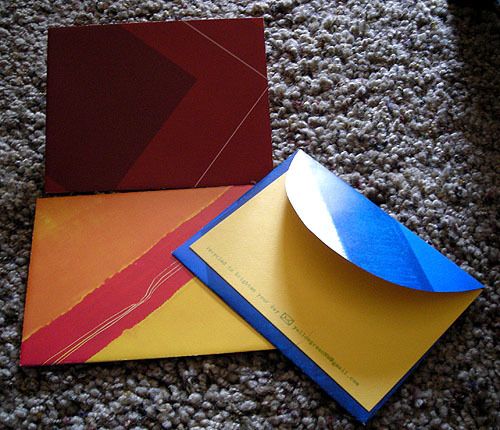 Any genre is fine- you’d be surprised what turns out looking awesome as an envelope! Here are a few photos of finished products so you can get an idea of what I do. My envelopes come with a hemp paper card and adhesive to seal them shut. They also come with one address label per envelope and are sold in themed packs of five. They’ve been sold in Virginia, Washington, and Idaho so far and not to mention, shared just for fun with friends and family all over the world! 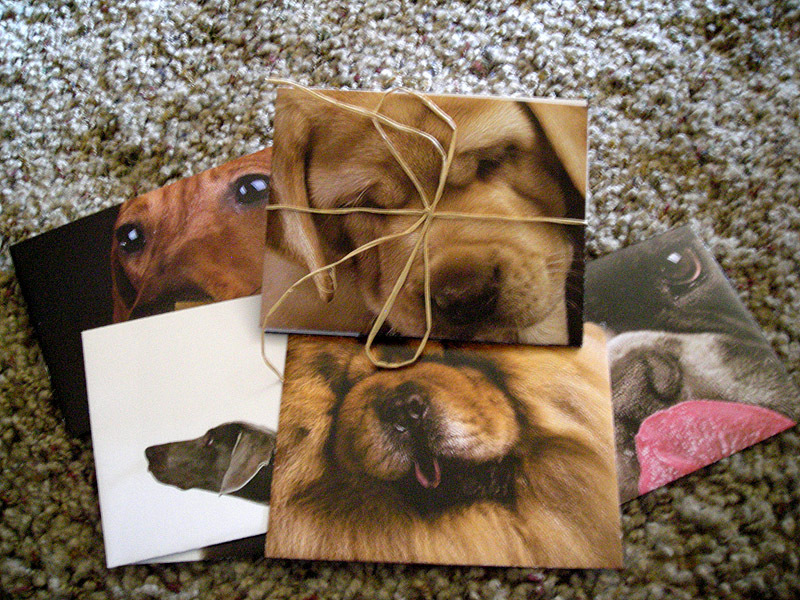 They are completely suitable for use in the mail- I’ve successfully sent them within the US and internationally. I have fun uncovering materials to re-use in order to create something that will hopefully bring a smile and happy message to someone else! I greatly appreciate any and all old wall calendars you can send! If interested just email me at yellowgreenNW@gmail.com for the mailing address. Also, please feel free to share if you have other creative ways of using old calendars! Finding creative ways to make use of something is always a good thing! This entry was posted in General, Recycling and tagged calendars, crafts, DIY, envelopes, recycling, stationery, YellowGreen. Bookmark the permalink.